Yet another scandal linked to the death of a man following torture has hit Tajikistan. A resident of Gissar District Hamza Ikromzoda died in investigative detention facility (IDF) No 1 in Dushanbe. Having received the body of the deceased, his family reported finding many signs of beatings and strong burns in the shape of an iron. His brother said that this was preceded a conflict between prisoners and the police, which arose from the latter’s refusal to share money with the former. He said that when Mr Ikromzoda’s temperature fell sharply, flasks with hot water were put on his body and doctors tried to revive him with electricity, which is the reason Mr Abdulhakov gave for the burns on Mr Ikromzoda’s body. The dead man’s relatives addressed their complaints to various authorities, including the country’s president. Several days ago, a group of women demanded to be let into the DPL. After a long conversation, the head of the division promised them that the head of IDF No1 will be fired. The prosecutors are now looking into Mr Ikromzoda’s death. On the same day that Mr Ikromzoda died, another man was said to have thrown himself out of the window of the Drug Control Agency in Dushanbe (DCA). He was taken there on suspicion of storing drugs and is said to have jumped out of the tactical-mobile division of the DCA on the sixth floor. The prosecutor has launched a criminal case, but no details have been announced. This is already the third case in the last year when those accused of crimes die during the preliminary investigation by jumping out of the windows. In October last year, 28 year old Bahromiddin Shodiev died in hospital. The police said he tried to escape and jumped out of the second floor window. His relatives insisted that he was violently tortured during the investigation, and said that he told them this before his death. According to the Tajikistan police internal investigation, three people employed by the department where the incident took place were dismissed. The Minister of the Interior ordered a thorough investigation into the circumstances surrounding Mr Shodiev’s death and, if it involves police employees, has ordered for criminal cases to be launched against them. Then it all came to a standstill. 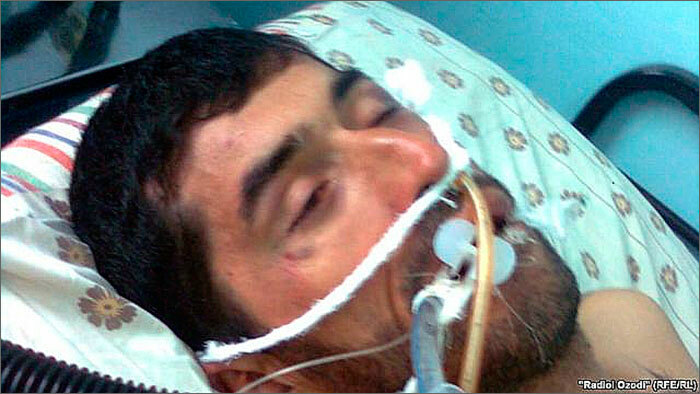 A similar case took place in March 2011 when Safarali Sangov was taken from the police to the hospital, where he died. The police said that Mr Sangov was badly hurt when he jumped out of the second floor window. Yet another explanation was suggested by Rahmonkul Davlatov, who was the head of the Department of Internal Affairs at the time – he said that Mr Sangov beat his own head against the wall and lost consciousness. The investigation into this case has not been completed and Mr Davlatov now heads the Department of Internal Security of Tajikistan. The country’s human rights organisations have made several joint statements on the use of torture during preliminary investigations and demanded careful investigations and punishments for the guilty from the authorities. Juan Méndez, UN special rapporteur on torture, who visited Tajikistan this year, has already pointed out the deficiencies in the law enforcement and court systems of the country. He said that many people report that they were tortured on the first day of the court process, yet their statements are not often taken into consideration. In March 2012, adjustments were made to Tajikistan’s legal code, regarding the use of torture and now the crime is punishable by penal sanction and fines. This is how Yavansky region district police officer was jailed for seven years and ordered to give material compensation to the victims. The district officer was also found guilty of exceeding his official authority and has been banned from working in law enforcement agencies for five years. Amnesty International, an NGO, welcomed the court’s decision in a recent statement, saying it is a clear sign that the Tajik authorities are seriously intending to put an end to the practice of torture. At the same time, the organisation expressed its concern that it still receives messages from Tajikistan about instances of torture and cruel treatment with the intent of coercing the accused into confession. “We are especially concerned by that fact that people held in preliminary detention are regularly denied meetings with a defence lawyer”, said the Amnesty International statement. Local experts have been sceptical about the jailing of an ordinary district police officer for torture. They see this as a demonstrative act by the government for international organisations, while important law enforcement officials continue to get statements using torture and are not held responsible for their actions. For example, according to the statement made by the man accused of murdering Holmumin Safarov, the brother-in-law of the Tajik President Emomalii Rahman, he was beaten by a number of high ranking police officials. 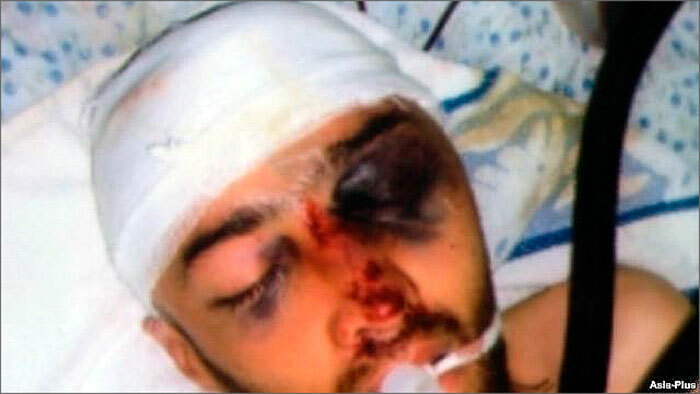 However, the General Prosecutor said that there was no torture and did not even investigate. The detained man has been under arrest for many months, after bullets and a gun were found at his home on the third search. According to Mr Kudratov, his lawyer, the police has no direct evidence of his client’s guilt. According to the Tajikistan General Prosecutor, they have received 17 complaints of torture and other cruel treatment in six months this year. Six cases were confirmed, and legal cases launched, but only one of the cases was about the use of torture. The other five cases about incidents which took place before the adjustments to the Criminal Code, so the police officers are only facing charges of exceeding their official authority.